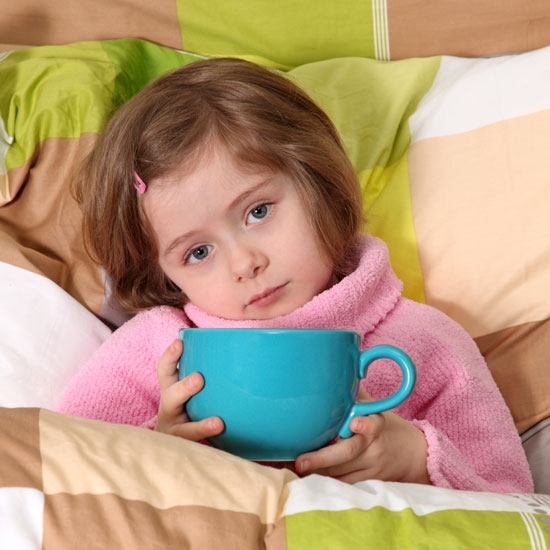 Does this describe your child’s cold symptoms? Colds are caused by several respiratory viruses. Healthy children average 6 colds a year. Influenza usually feels like a bad cold with more fever and muscle aches. Colds are not serious. Between 5 and 10% of children develop a bacterial complication (ear or sinus infection). Colds cause nasal discharge, nasal congestion, sinus congestion, ear congestion, sore throats, hoarse voice, coughs, croup, and red, watery eyes. When you combine all these symptoms, colds are the most common reason for calls to the doctor. Your child can return to child care or school after the fever is gone and your child feels well enough to participate in normal activities. For practical purposes, the spread of colds cannot be prevented.